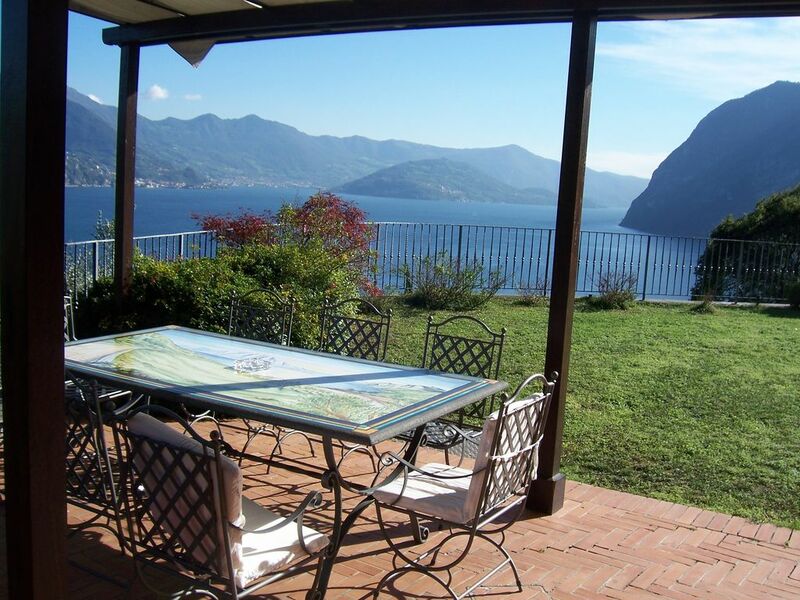 This villa is situated on the hill of Riva di Solto, in a panoramic position with beautiful views of Lake Iseo and Monte Isola. The villa is surrounded by a large well-kept garden with olive trees. Outside, the garden is in an exclusive setting with fireplace and dining table for lunch, or to enjoy a romantic dinner while admiring the suggestive panorama of the more. The excellent location of the villa is the ideal starting point for wonderful walks on the hill or excursions on the lake. Within walking distance is the village with all amenities (supermarket, pharmacy, shops, restaurants, beach). - Bed linen and towels € 16, - per person (or change on request) - Not included: Gas for heating (if required) € 1.50 m3 - Included: electricity, gas and water. Ich war im Rahmen einer Dienstreise sechs Tage vor Ort. Der Ort und die Unterbringung sind sehr schön. Eine traumhafte Aussicht, alles wie auf den Bildern. Das Haus ist wie so oft in Italien auf dem Stand der 70/80er Jahre. Sehr sauber! Die Kommunikation könnte einfacher sein. Bei FEWO-direkt bzw. Home Away würde ich nicht wieder buchen. Es gibt deutlich kundenfreundlichere Portale. Objekt/ Ort super/ Abwicklung stark Verbesserungswürdig, was aber nicht in der Verantwortung des Vermieters liegt.